The People's club have had a difficult start to their continental campaign this season. Former I-league champions Aizawl FC welcome Bangladeshi outfit Abahani Limited Dhaka at their temporary home ground the Indira Gandhi Athletic Stadium in Guwahati for a Match Day three tie in the group stage of the AFC Cup competition 2018. Both sides have lost their opening two games and would look at this tie to bridge some of the gap in points with the other two teams perched at the top of the table. Aizawl FC has had a poor debut in the continental competition so far being beaten by both New Radiant SC and Bengaluru FC with identical scores of 3-1. The club would want to make their maiden crack at the competition worthwhile and so would go look at making the match against the Bangladeshi Champions a step in the right direction. In their last match, Aizawl FC suffered a disappointing loss against I-League rivals East Bengal and were knocked out of the Super Cup. 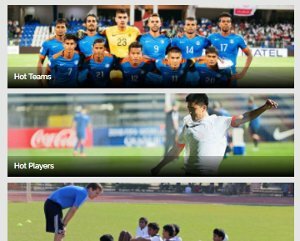 Santosh Kashyap’s men can now afford to invest all of their energies and focus in the continental competition and would look to make a strong finish to a relatively disappointing season. Abahani Limited Dhaka has endured a similar lacklustre start to the competition. The Dhaka based side who won the domestic double in their last season, are the most successful team in Bangladesh football history. The Sky Blues though have failed to trouble their opponents in Asia, being particularly poor in front of goal and are yet to score in the competition. Abahani boss Saiful Bari Titu who was also the former head coach of the Bangladesh National Team would seek an upturn in results at the earliest and would hope the trip to the Northeast of India would be a fruitful one. With his team playing for the third time in a week on Wednesday and with the travel involved in between Santosh Kashyap may feel the need to rest some of his players for this game. However, this being an important game in the context of the competition the coach is expected to line up with a fairly strong starting XI. With no domestic football to worry about at the moment, coach Titu would have a fresh full squad at his disposal. The coach will look to field his strongest possible line up to overpower the hosts. The Romanian has been the most standout performer for the People’s club this season. Playing in the number 10 role, Ionescu has been a productive player, scoring six and assisting four times in all competitions. 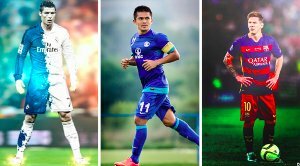 Capable of playing defence-splitting passes to the strikers and also deadly with his finishing, the Romanian will very likely have an important role if his team are to come out victors from the match. The Sky Blues would receive a boost in the form of striker Sunday Chizoba who will join the squad for this game after being suspended for the tie against Bengaluru FC for picking up a red card in the team’s first AFC Cup match. The Nigerian striker is a potent finisher in front of goal and was the club’s top scorer in their title-winning campaign last term. Santosh Kashyap’s men can ill afford to take him lightly. 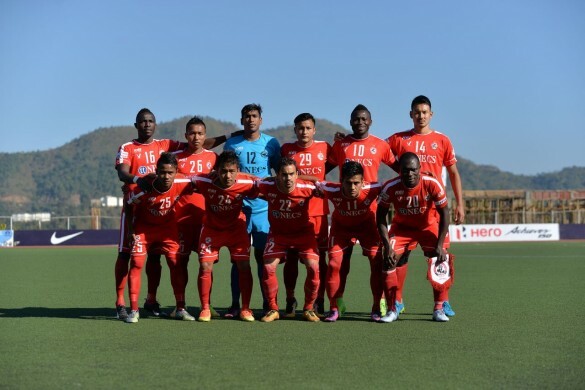 Aizawl FC- Avilash Paul, Lalrosanga, L Varte, H Mawia, Renthlei, Jaryan, Saighani, Khawlhring, Albert Zohmingmawia, Ionescu, Dodoz. Abahani Dhaka Limited- Alam, Saad Uddin, Nasir Uddin, Alison, Faisal, Fahad, Emon Mahmud, Kojima, Rubel, Emeka Darlington, Sunday Chizoba.